A player supporting VAST (Video Ad Serving Template) v2.0/3.0 video advertising standard. 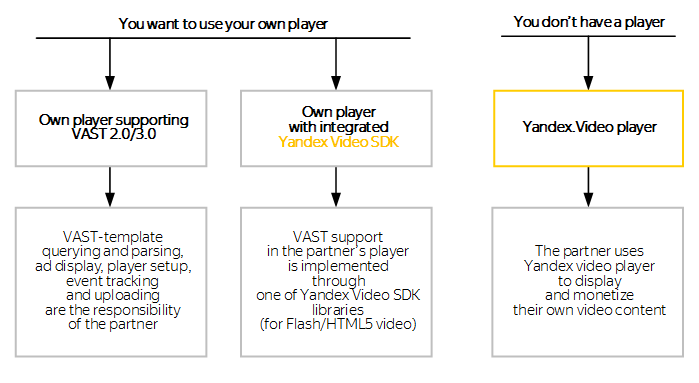 Yandex Video SDK is a library that integrates into the partner's player and ensures the player supports VAST. 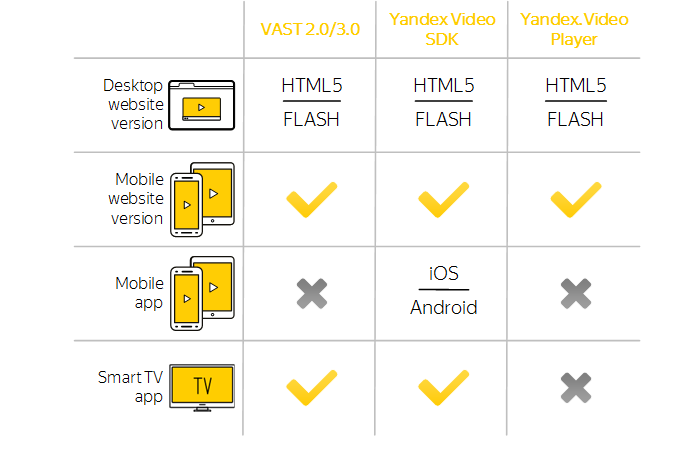 Yandex.Video player used by partners to display their own video content and Yandex video ads.